There is something about his love of sports that helped Higginbotham executive vice president Matthew Buss (pictured) reach where he is right now. 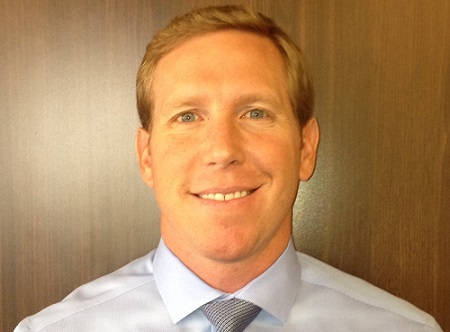 Buss has over 15 years of experience in the property & casualty insurance space. He also has an extensive background in the auto dealership and construction segments. His team at Higginbotham has engineered risk-specific programs catered to clients’ constantly changing portfolios. In this exclusive interview with Insurance Business, Buss shares how sports play an integral part in dealing with his clients. He also discusses how it is imperative to entice more young professionals to kickstart a career in insurance. In college I was fortunate to develop a friendship with a professional who owned an agency, and, after learning more about the industry, I concluded this was the best career path to maximize my skills in the workplace. I’ve always contested that a lot of my success has been from surrounding myself with trustworthy, hardworking individuals… and that holds true today. I have the freedom to create custom solutions for clients with the resources and services that Higginbotham has in-house to support those programs. My experience has taught me over the years that employers that truly value their people will ultimately make sacrifices for the good of the company as a whole. Higginbotham has done that by making all employees shareholders in the firm, so everyone benefits from contributing to Higginbotham’s growth. IB: What makes it different from other firms in the same space? My favorite holiday is Thanksgiving - enjoying family over great food. Higginbotham has taken that concept and applied it to its hiring and acquisition practice. We choose partners that we would enjoy sharing the Thanksgiving table with, so Higginbotham feels like family. I have the easy job - developing strong, lasting relationships with clients and underwriters to craft tailored insurance programs. Kidding aside, our service team carries the load. They deliver the day-to-day services that benefit the clients and carriers at the end of the day. New developing risks that perhaps weren’t present 10 years ago, as technology has opened a door for threats that our clients may not have faced previously. But technology has also simplified our processes. So, it’s both a disadvantage and an advantage. I believe it’s changing for the better. When I think of all the regulations and accreditation that’s present in our industry, it’s my hope that we are viewed as true professionals. It’s my goal to be thought of as a partner in lieu of a vendor—the trust must be reciprocated in all relationships. Perhaps youth - it’s imperative we educate and bring along the young professionals in our business. Higginbotham envisioned and procured a program to do just that, which will bring fresh ideas and sustainability to our organization. Be patient. Success doesn’t happen overnight, but you’ll get there with perseverance and shaping your own craft from the guidance of experienced colleagues. IB: What role do sports play in your life and in your career as an insurance professional? It’s integral. My competitiveness and goal-oriented mind frame are a direct correlation to sports. Most producers share my unrelenting drive, which are akin to athletes who have a ‘never give up’ attitude. The mentality of wanting to do more for our clients is what sets Higginbotham apart in this industry. Great question. It’s rare for someone to grow up desiring to read policies about insurance. It’s my hope to gain a role in the coaching/teaching arena for youth and return some knowledge and experience. IB: What would you name the autobiography of your life? Creating Success – Where Preparation Meets Opportunity. I grew up in the environment of those less fortunate and/or with special needs, so I have a passion to contribute my energy and efforts in that path through sports and activities.